Pouring tea from a beautiful pot is one of life's pleasures. 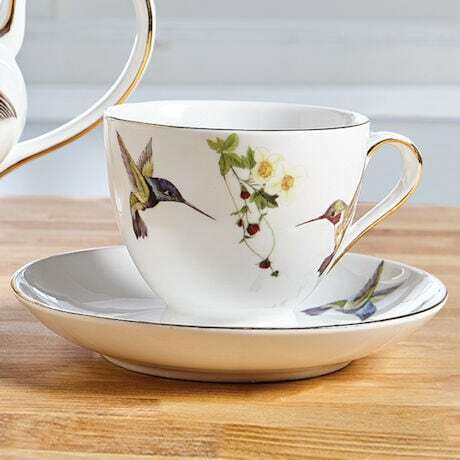 So is sipping from a beautiful cup. 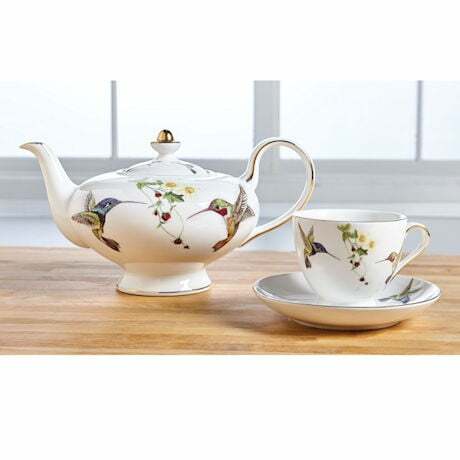 Teapot and classic mug are white bone china, decorated with hummingbirds and flowers and accented with 10K gold. Teapot (XB9762 - sold separately) is 10" wide; holds 32 oz. Cup (XB9772) is 3" high; holds 6 oz. Hand wash.